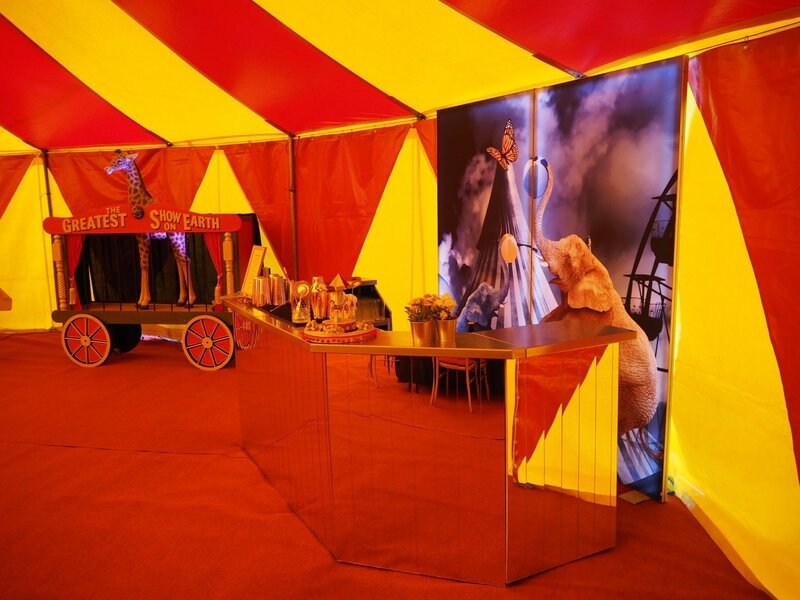 We enjoyed an exceptional private event in Swinderby, Lincolnshire, recently featuring our circus themed mobile bar, a traditional circus tent, cocktails, flair bartenders and more. There wasn’t any clowning around to be had here, strictly business – but fun business nonetheless! 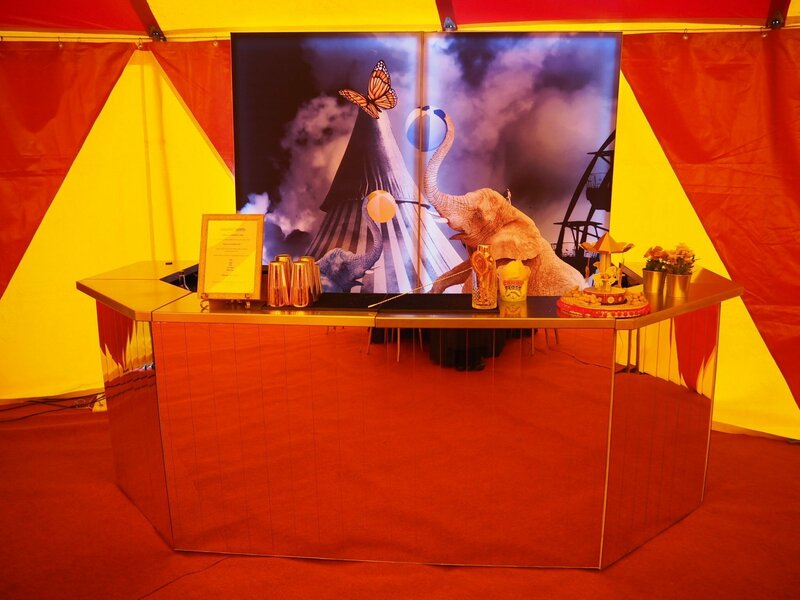 The vintage circus tent really made the circus theme feel immersive, which was then heavily embellished by our selection of circus themed props, circus cocktails, the circus mobile bar and of course our juggling flair bartenders! Although the cool, red and yellow circus tent really added to the occasion we find it is the little things that continue the theme during an event. 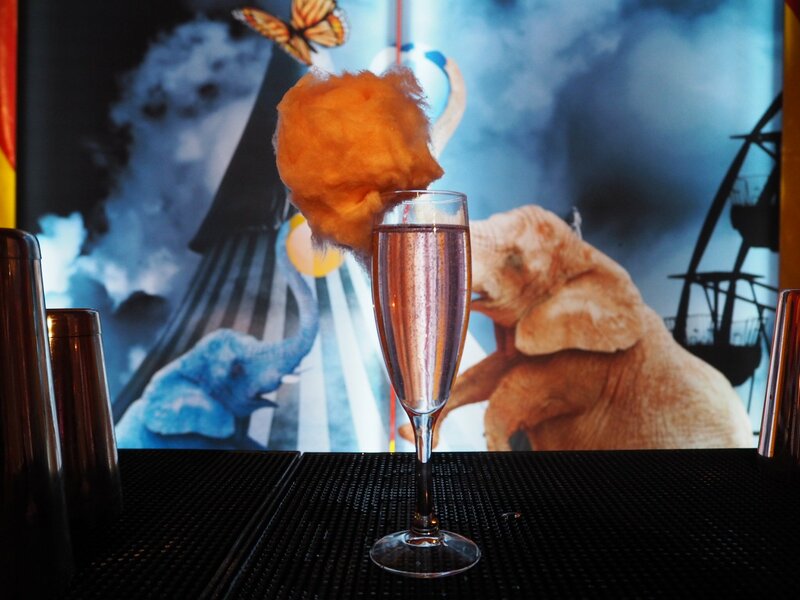 That is why everything from our LED back drop panels behind the circus themed mobile bar, to circus ticket and candy floss garnish in the cocktails is designed to entertain and maintain the theme the client wanted to create. There were even traditionally dressed circus ushers on the door! 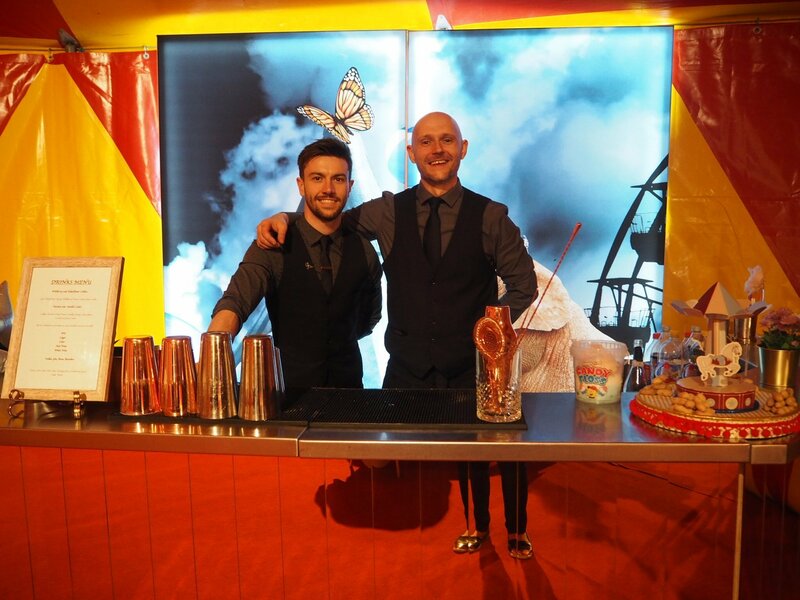 With 40 guests attending this private birthday party, the 3 meter vintage circus themed bar proved the perfect size ensuring that there was enough room to prepare all the drinks for the arrival of the guests, as well as to serve all the guests in a timely fashion as the day went on. We decided upon the gold mirrored effect on the vintage circus themed bar as once underneath the red and yellow light of the circus tent above, it looked really amazing – reflecting the vibrant colours, adding a golden hue. Naturally everything from the red carpet floor, to the table and chairs were chosen to carry the theme through. Following the set up of the theme are first job was to prepare a selection of bespoke cocktails for each and every guest to be presented upon arrival. As the event continued the client opted to take advantage of our all inclusive drinks package, which is priced per head. Serving a range of ales, cider, wine, cocktails and more, there was never any worry of anyone going thirsty. Our all inclusive drinks package is certainly the best way to get the most value for your money when you are planning on holding an all day event. We ensure that there is enough stock, glassware and everything in between to make sure that the drinks don’t stop until you do. 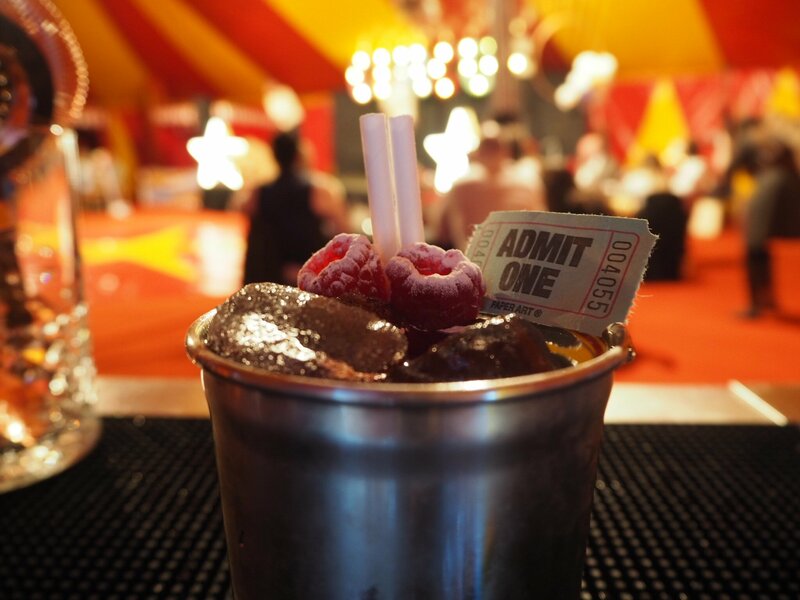 If you are interested in our circus themed mobile bar, a vintage circus bar for an event of your own, our flair bartenders, cocktail service – or anything else, then please do not hesitate to get in contact. Want to keep up to date? Sign up for our monthly email.